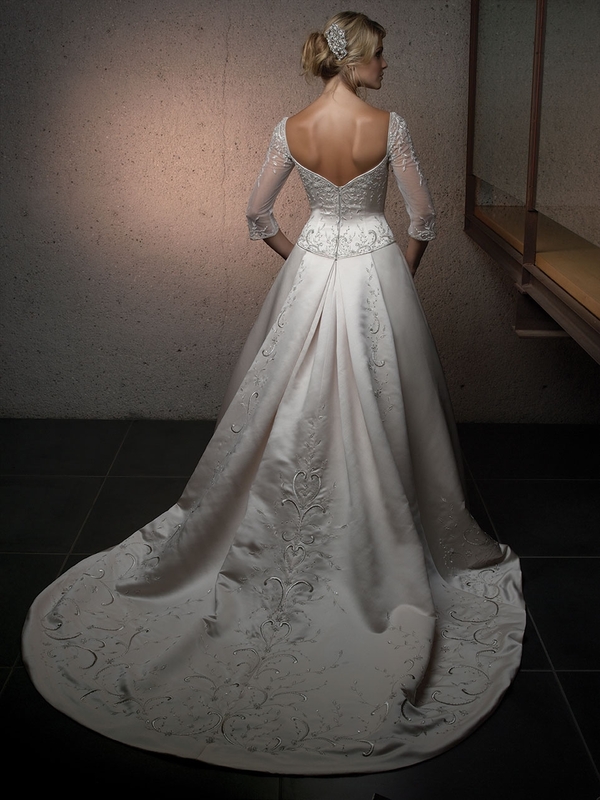 Intricate embroidery and beadwork decorate the bodice and hemline all the way around. Sweetheart neckline accentuates the bustline while sheer 3/4 length sleeves provide coverage and interest to the arms. Half box pleats on the skirt give fullness to the dress. Elaborate beadwork is used on the semi-cathedral train and up to the waist.